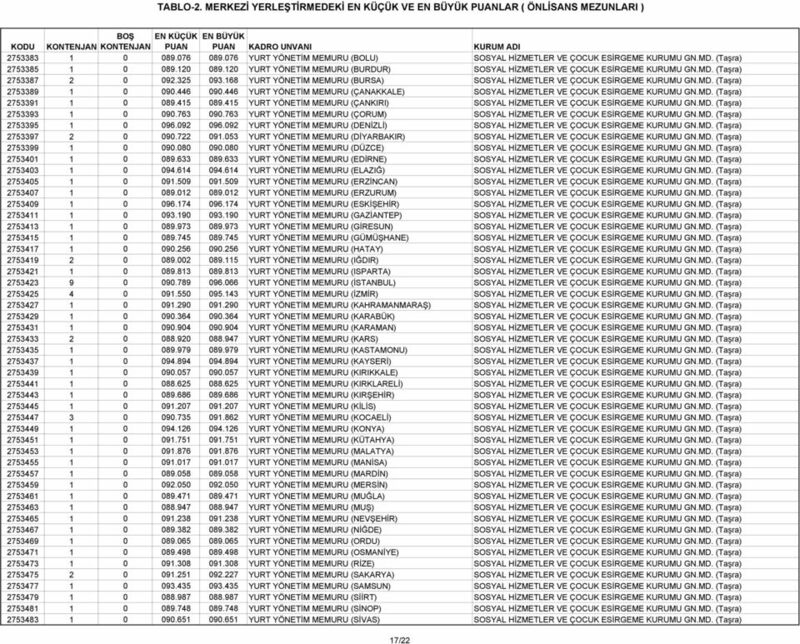 Download "TABLO-2. 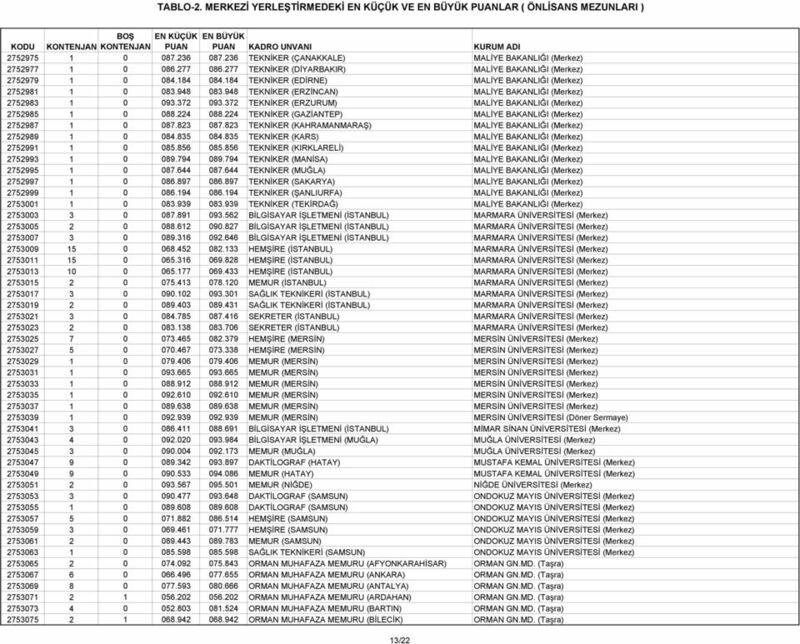 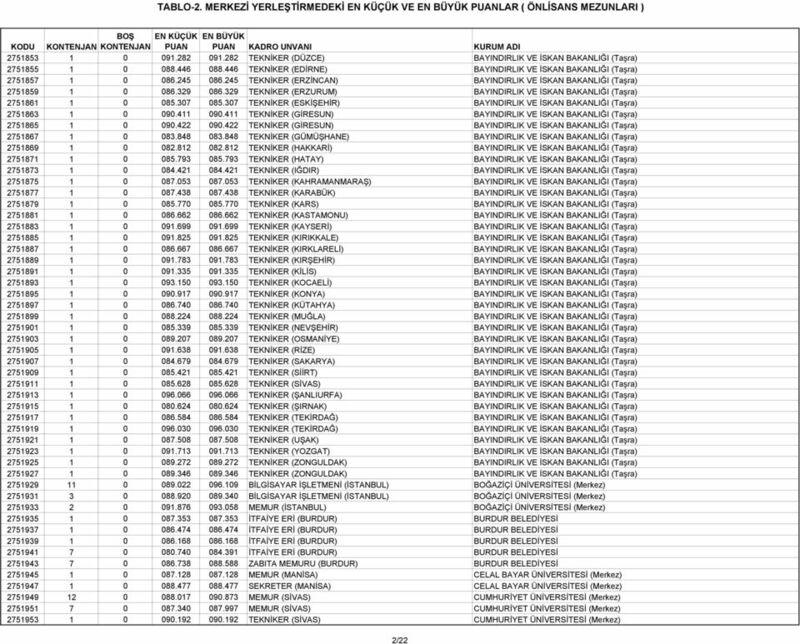 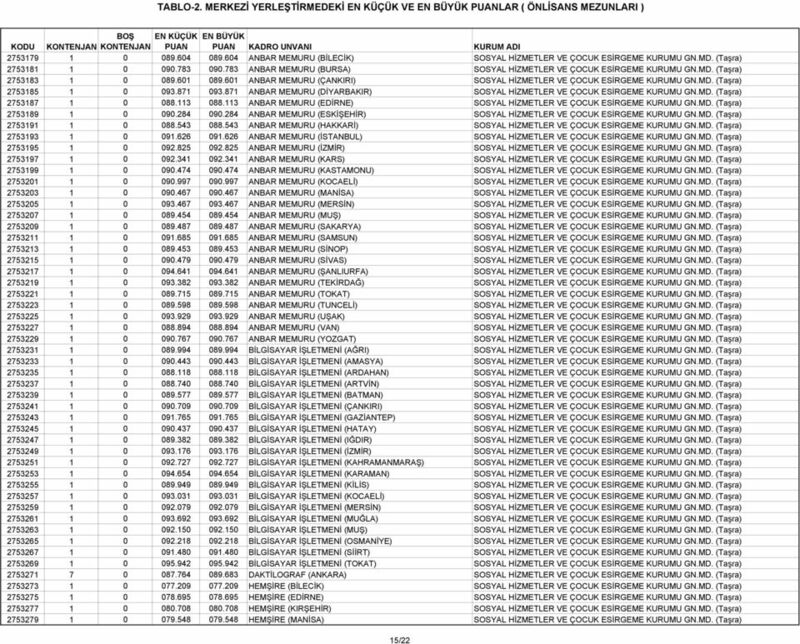 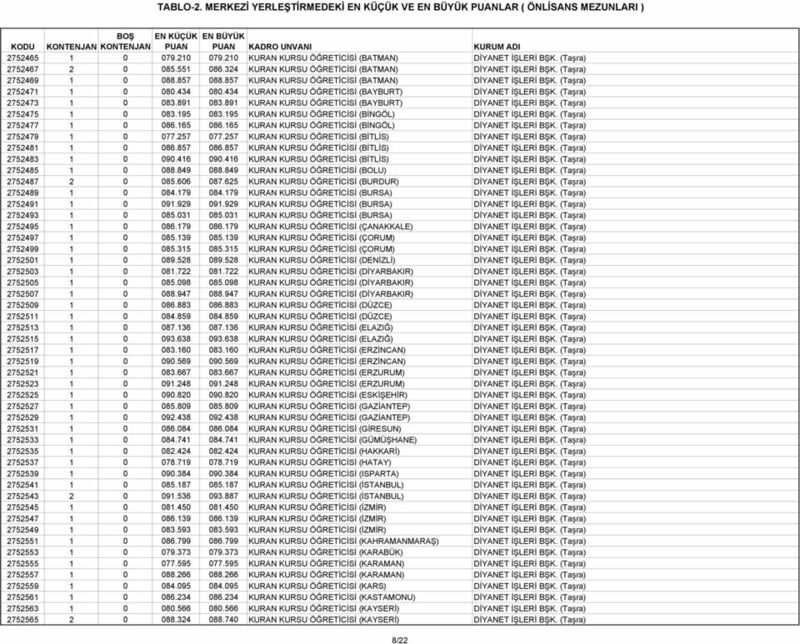 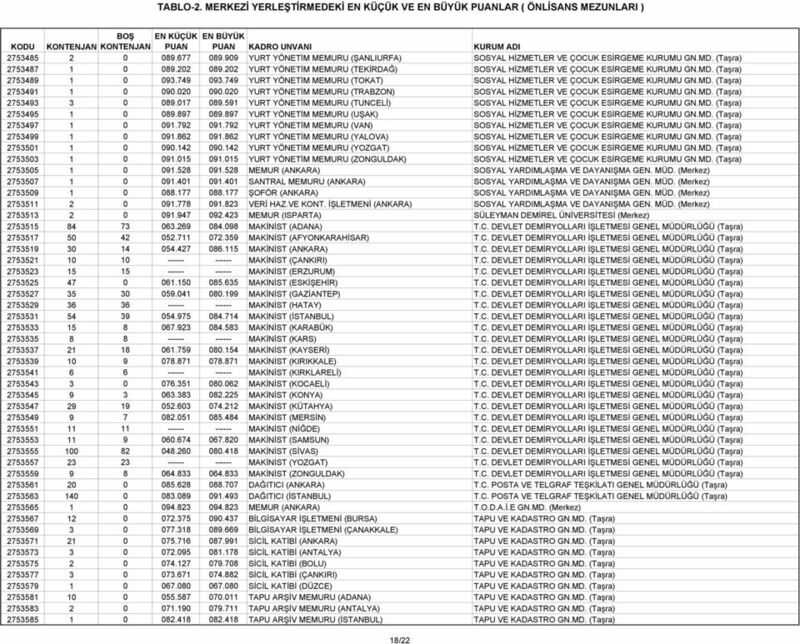 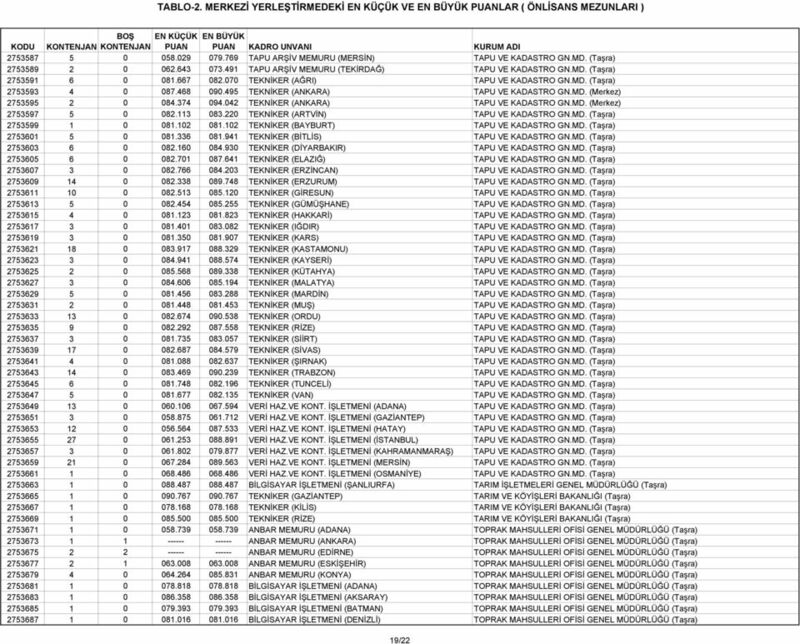 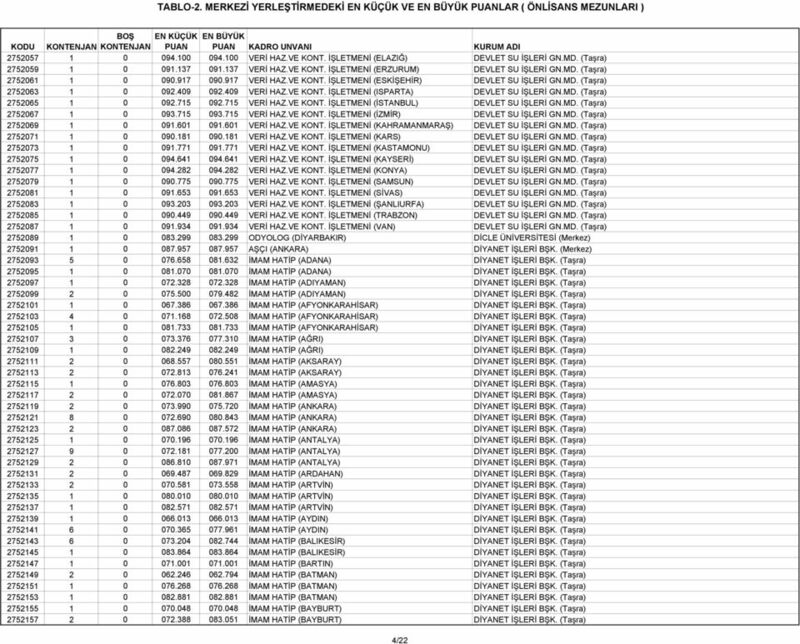 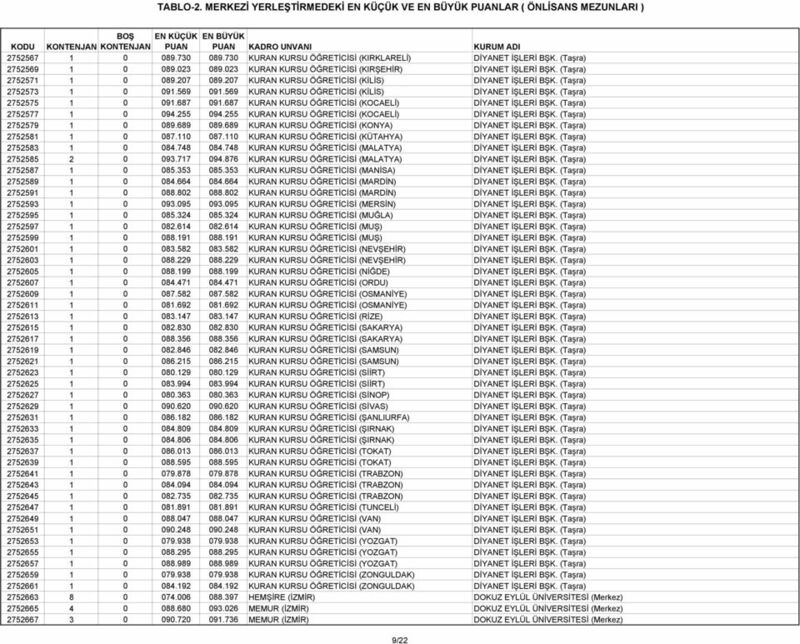 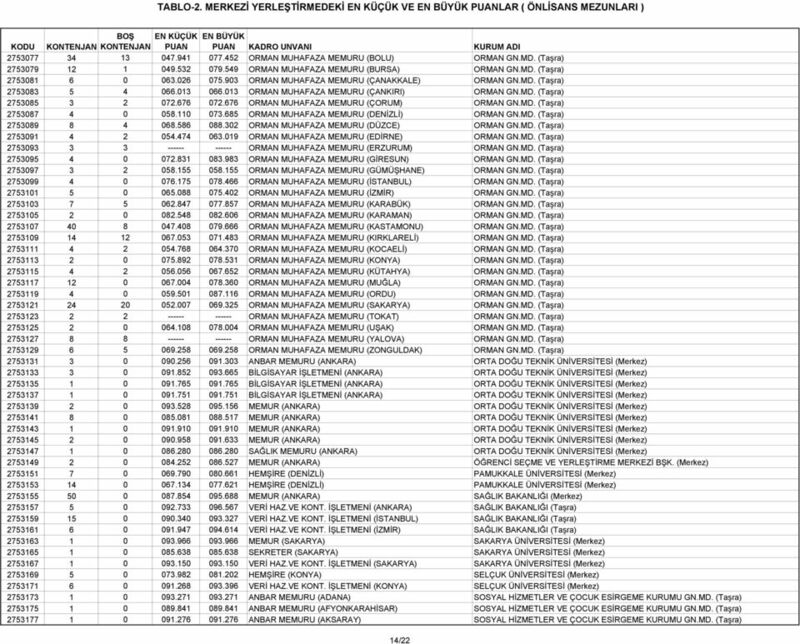 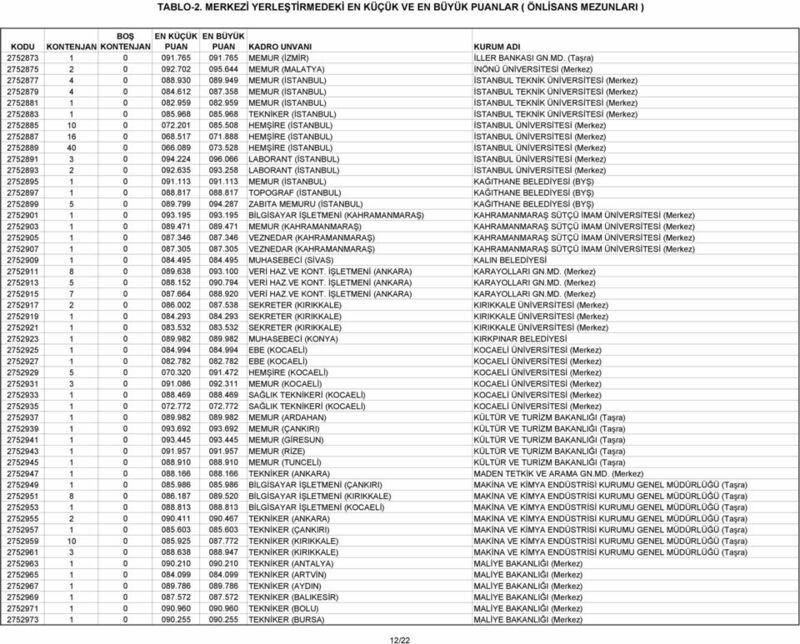 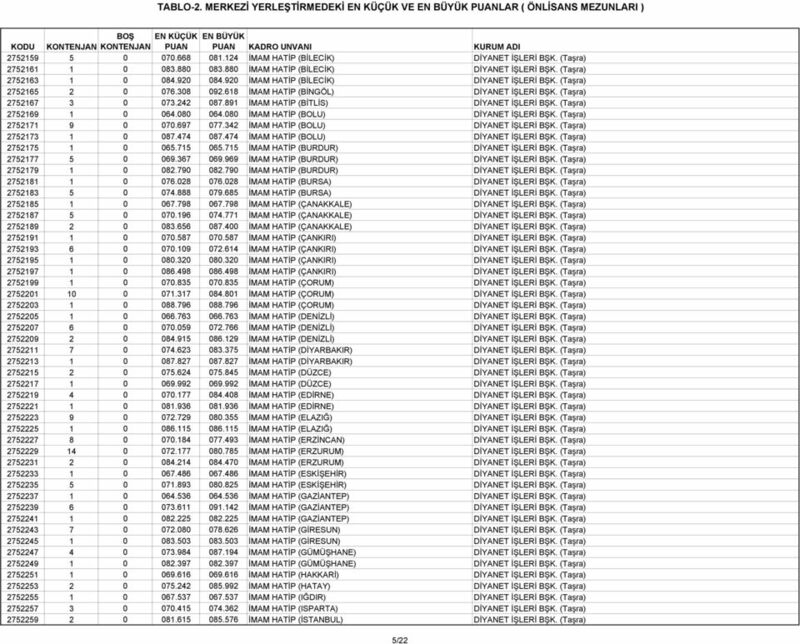 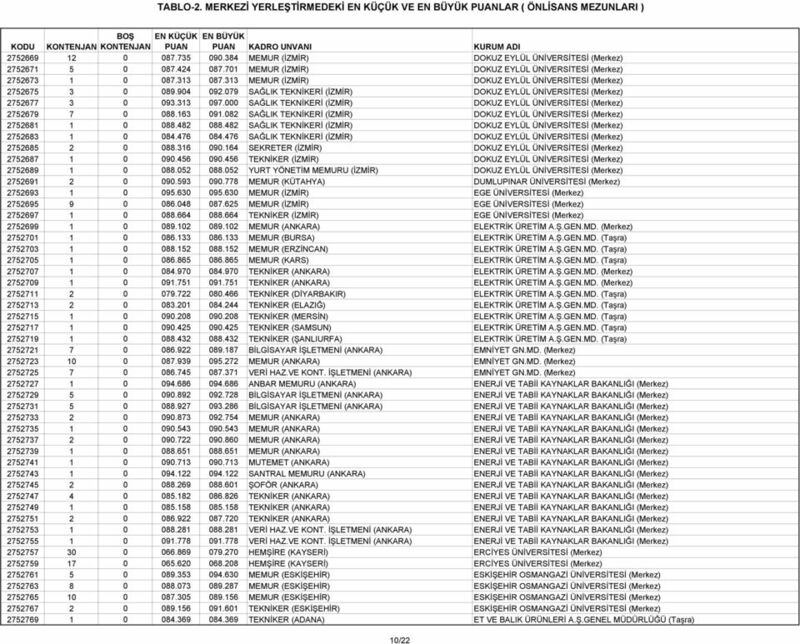 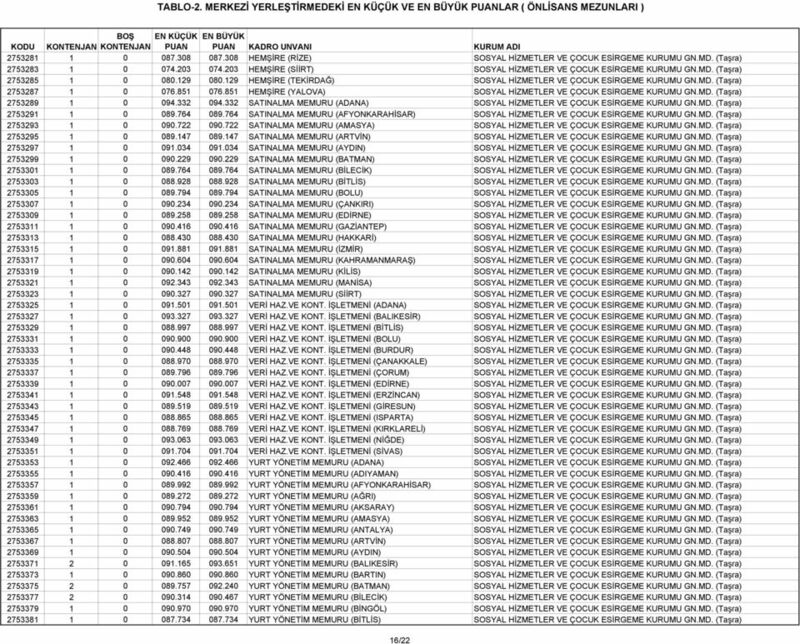 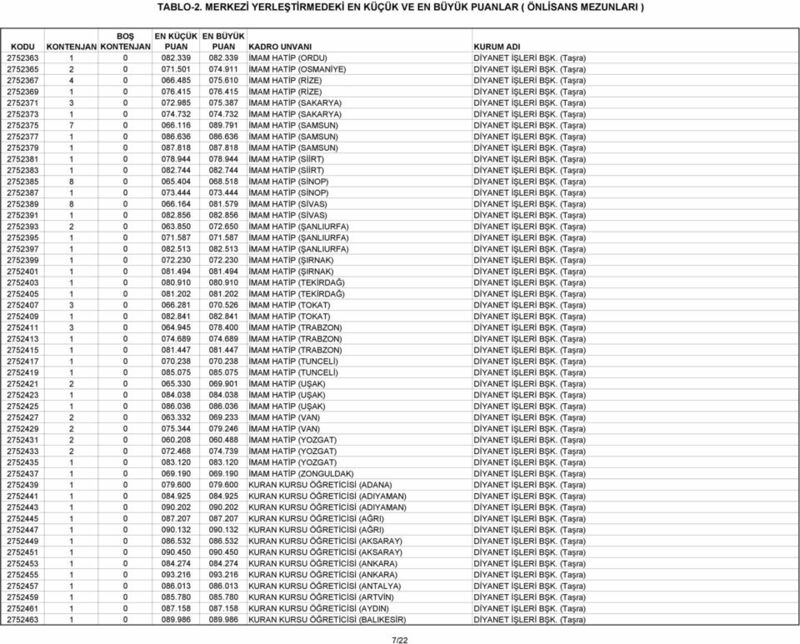 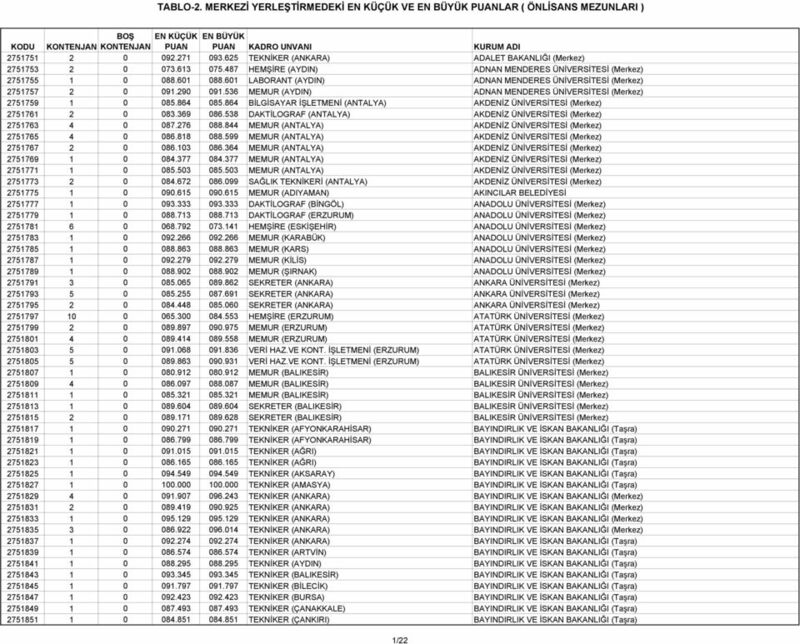 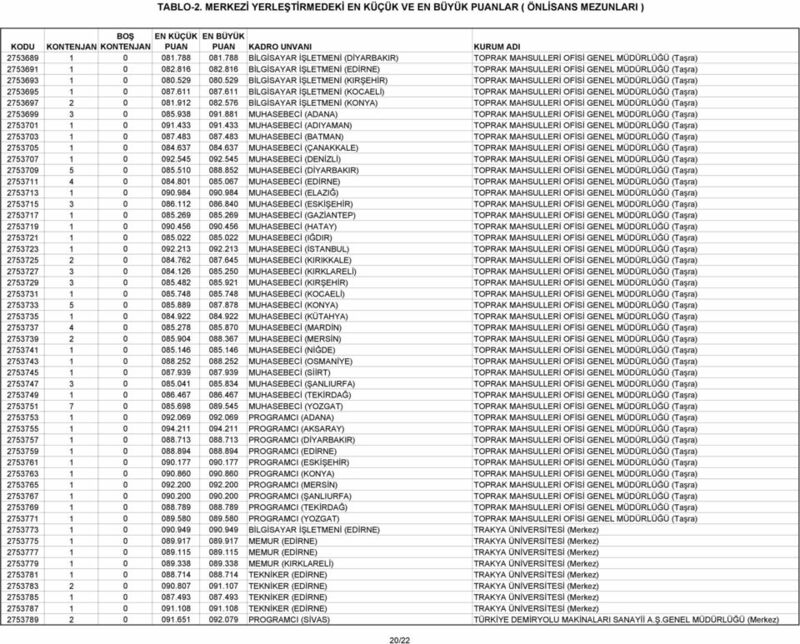 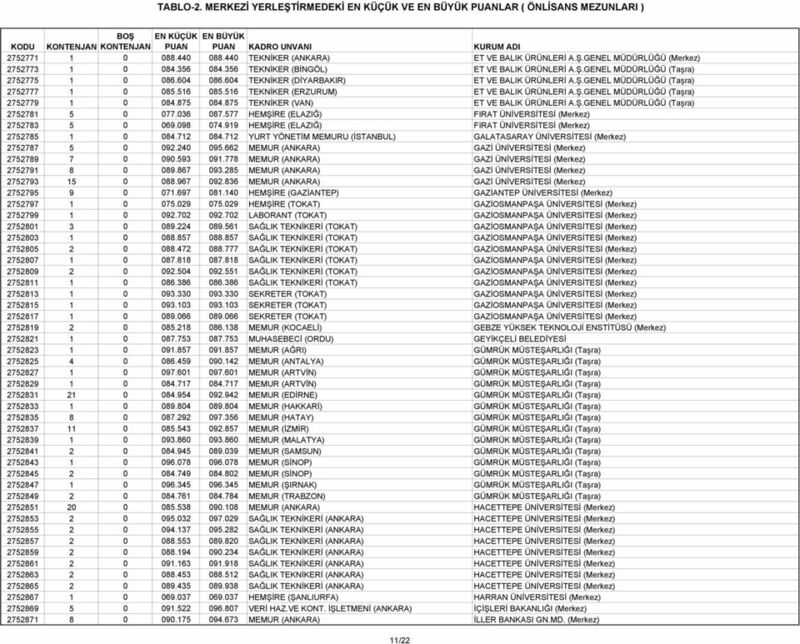 MERKEZİ YERLEŞTİRMEDEKİ EN KÜÇÜK VE EN BÜYÜK PUANLAR ( ÖNLİSANS MEZUNLARI )"
1 of 31 EN BÜYÜK PUAN POZİSYON KODU BOŞ KONT. 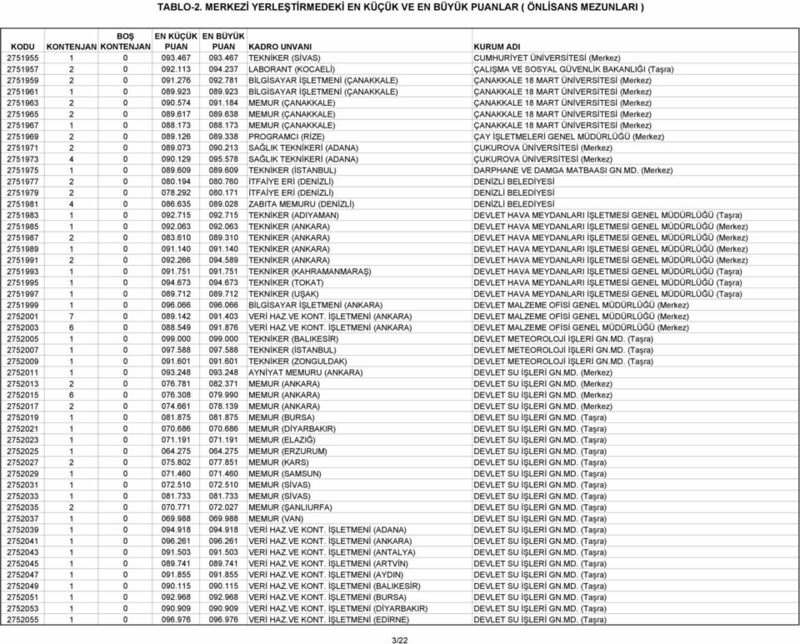 KURUM ADI KADRO ADI KONT.